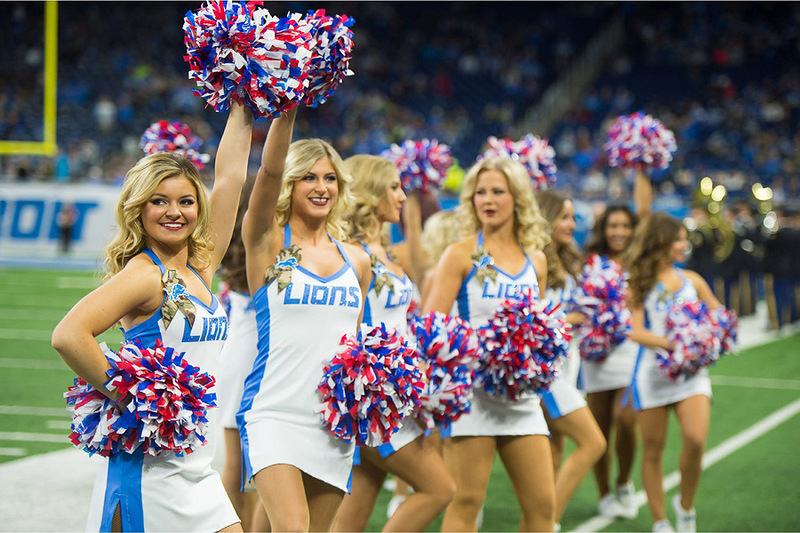 We continue our coverage of Week 13 of the NFL regular season with another look at the Detroit Lions Cheerleaders. Click here to view the Lions large gallery of images from their game against the Rams. The Detroit Lions hosted one of the traditional Thanksgiving Day NFL games and this year, they played the division leading Chicago Bears, who were starting journeyman Chase Daniel in place of injured starter Mitchell Trubisky. Daniel acquitted himself well, generally outplaying the more seasoned Matthew Stafford, who had two costly interceptions. The Lions had their chances and were leading 13 – 9 at the end of the third quarter, but yielded two touchdowns to the Bears in the final quarter to lose in disappointing fashion. Final score: Bears 23, Lions – 16. 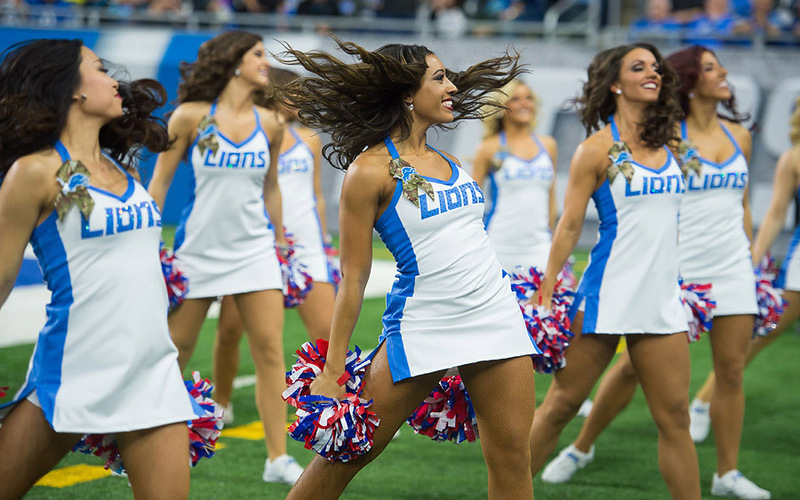 So let’s take a look at this week’s Detroit Lions Cheerleaders photos. 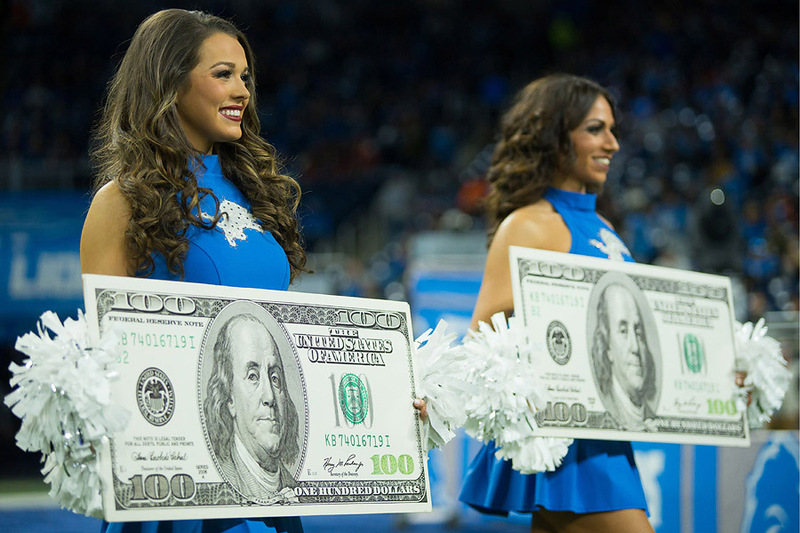 Click here to view the Lions gallery of images from Week 12. The Detroit Lions sweated out a two point conversion attempt by the Carolina Panthers in the last minute of the game before emerging victorious. Cam Newton drove the Panthers 75 yards to score a touchdown with 1:07 left on the clock to come within a point of tying the game. Instead of kicking the extra point, the Panthers went for the two point conversion and the win. Unfortunately for them, Cam Newton’s pass was wide of the mark and the conversion attempt failed. The Lions endured and garnered the victory. Final score: Lions – 20, Panthers – 19. 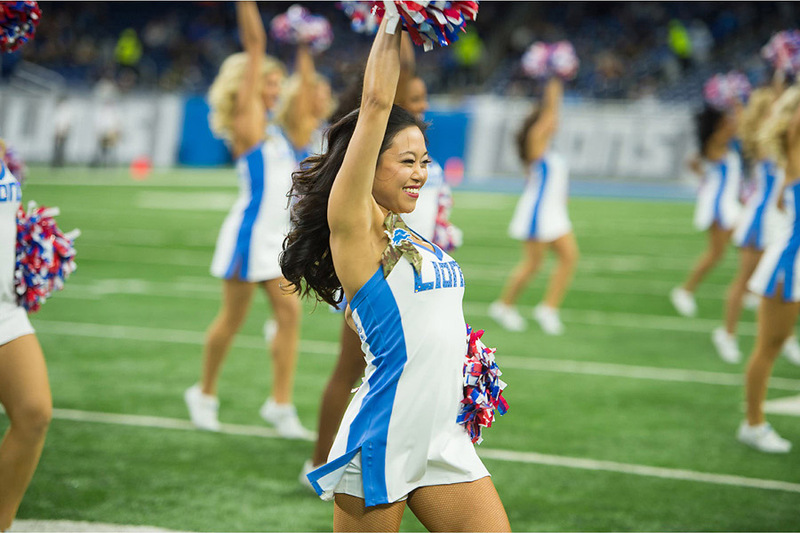 So let’s take a look at this week’s Detroit Lions Cheerleaders photos. 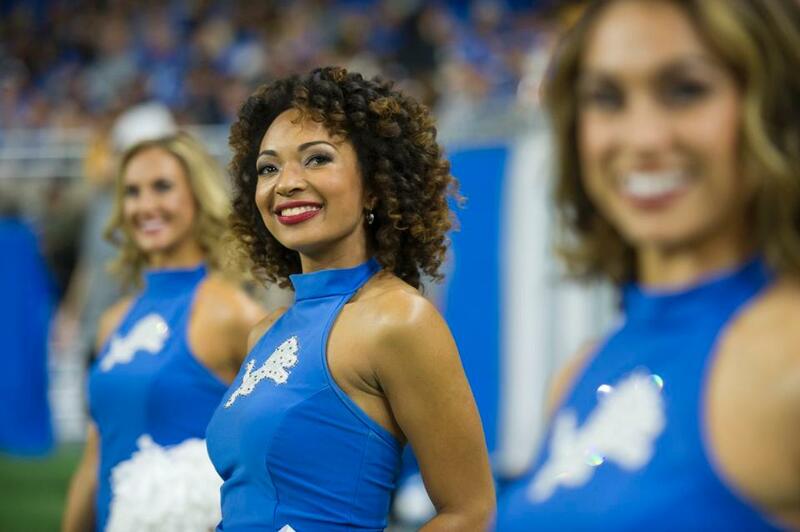 Click here to view the Lions game day gallery. 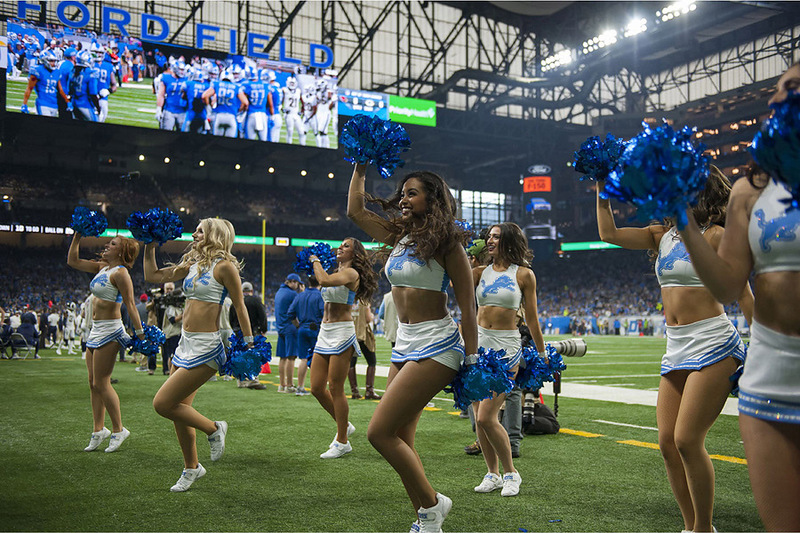 The Detroit Lions hosted the Seattle Seahawks this past weekend and a victory for the home team would mean at least a tie in the highly competitive NFC North division. Going into the game, the Lions had an excellent chance for the win against the Seahawks who were a .500 team and were searching for answers regarding recent personnel changes. Gone was the Legion of Boom, that dominating defense that marked the Super Bowl teams of the past. In contrast, the Lions boast one of the most potent offenses in the NFL with a strong armed quarterback, a bevy of game changing wide receivers and a rookie running back that is on the verge of stardom. But the Seahawks still have a relic of the past in Russell Wilson and he was the difference in the game, throwing for 248 yards and three touchdowns. Seahawks win, 28 – 14. The Detroit Lions have the good sense to post galleries that feature a large number of images that showcase the game day experience. 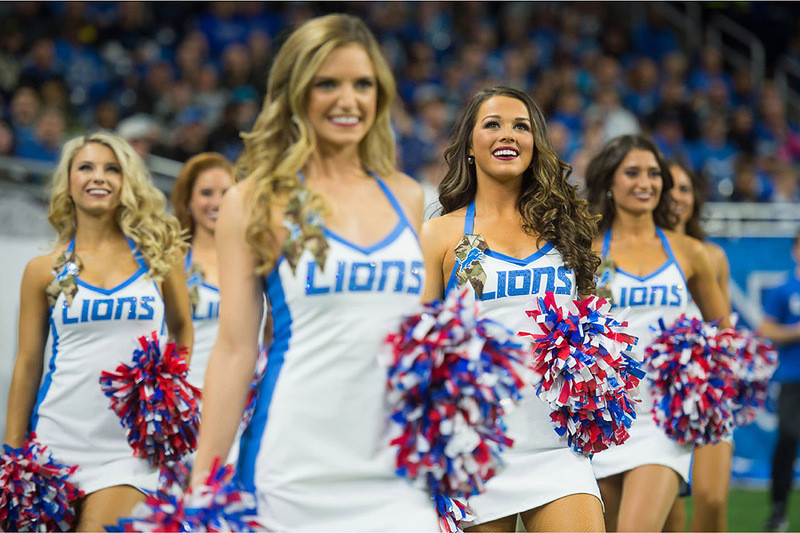 Click here to view the Lions gallery from this past Sunday. It was big game week in Detroit with the division rival Green Bay Packers coming into town. Division games are always important, particularly early in the season when things can go off the rails with a loss. The thought was that a one legged Aaron Rodgers would be an easier path to victory, but even with a knee injury, Rodgers shredded the Lions defense to the tune of 442 passing yards and three TDs. And things could have been worse if not for four missed field goals by Mason Crosby. Fortunately for the Lions, they have a pretty good offense too. Mathew Stafford passed for two TDs and LeGarrette Blount rushed for two TDs to hold off the Packers, 31 – 23. In Detroit, it was the week to celebrate the NFL’s Crucial Catch initiative to fight against cancer. In years past, the NFL was committed to highlighting breast cancer awareness in the month of October, but their efforts have been expanded to combat all forms of cancers. 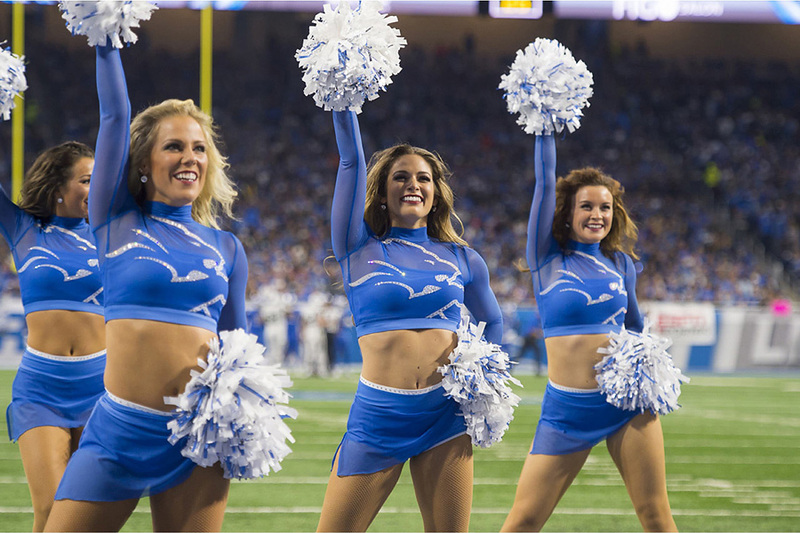 In honor of this effort, the Detroit Lions Cheerleaders wore special pink colored uniforms. 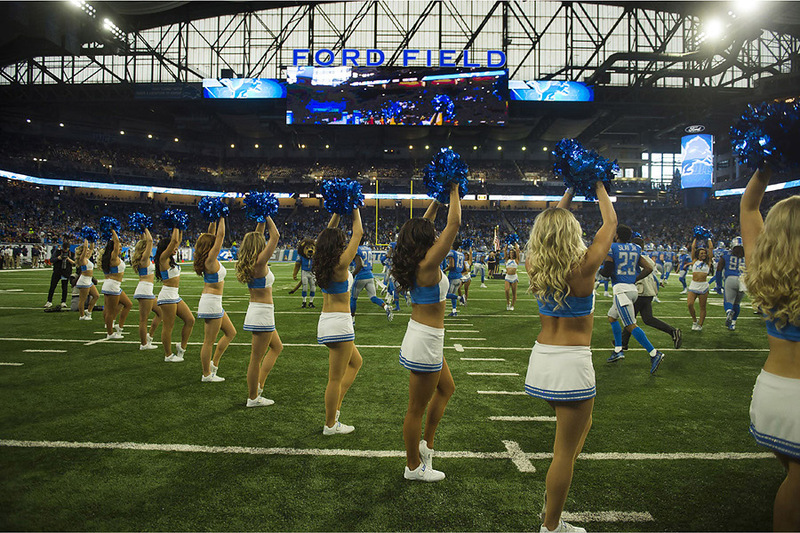 Click here to view the Lions game day gallery. The New England Patriots are a perennial playoff contender. The Detroit Lions are not. And in Week 3, these two teams met on the gridiron in a seemingly uneven game, but a funny thing happened along the way. The team that looked like one of this year’s worst NFL squads resoundingly defeated the prohibitive Super Bowl favorite from the AFC, 26 – 10. The Lions used a strong defensive performance to limit the potent Patriots offense to a meager 209 total yards. On the offensive side of the ball, Matthew Stafford was his usual self, passing for 262 yards and 2 TDs and running back Kerryon Johnson rushed for 101 yards, accomplishing a feat that hasn’t been done by a Lions RB since 2013. Good times. 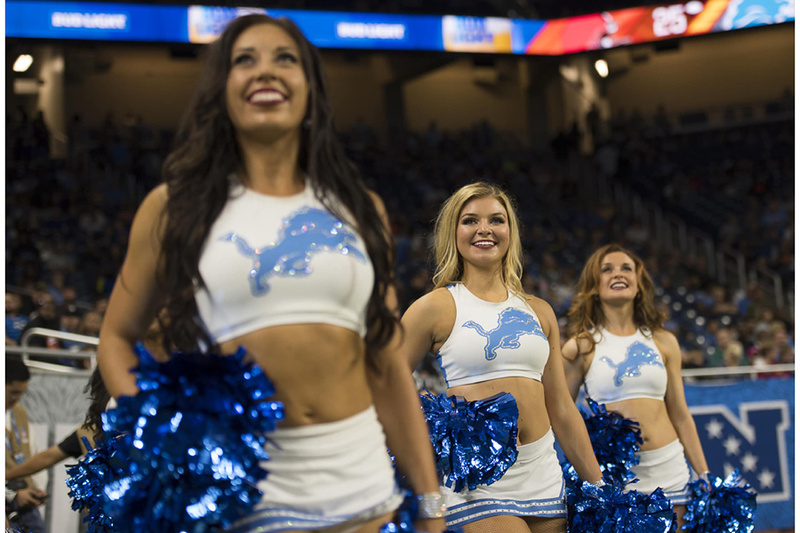 And that wasn’t all the good news for Lions fans…in addition to the win, they got another chance to experience the Detroit Lions Cheerleaders in all their splendor. Click here to view the Lions super large gallery of images. It is a new season of NFL football and optimism was the word of the day for Detroit Lions fans and those of us who drafted running back Kerryon Johnson in fantasy football. Johnson was the SEC’s 2017 Offensive Player of the Year and that has to be a welcome news for a team that last had a 100 yard rusher on Thanksgiving Day of 2013. But alas, it was not meant to be. The Lions lost to the New York Jets on Monday Night Football, 48 – 13. Heck, Isaiah Crowell, the Cleveland Brown cast off, rushed for a 100 yards…may be next week a Lion RB (Kerryon Johnson) will rush for a 100 yards. We can hope. 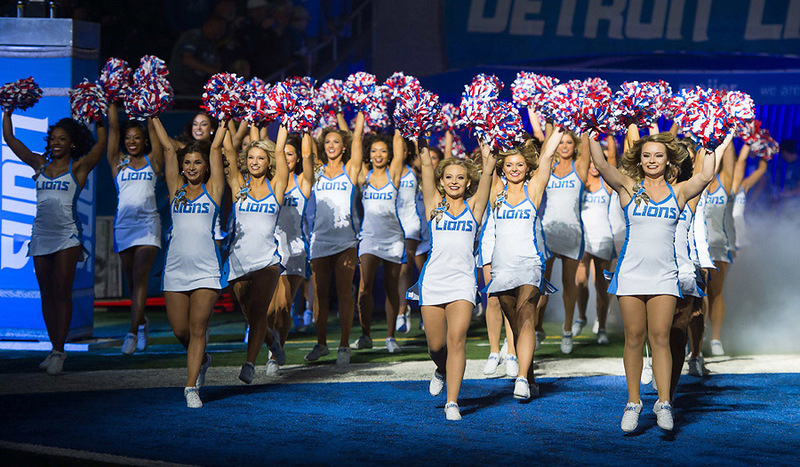 Until then, let’s take a long look at the NFL’s newest cheerleading squad, the Detroit Lions Cheerleaders. Click here to view a super large gallery of images from game day. Week 4 of the NFL Preseason is where the starters are rested to prevent injury and the journeymen that play this week are auditioning for other teams who may have needs. 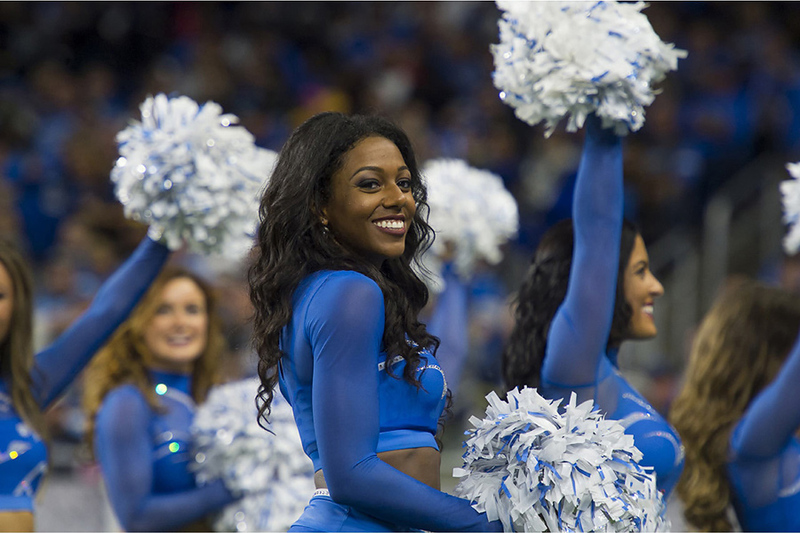 In truth, not a whole lot of “real” NFL football is being played, so it is another great opportunity to check out pride of the NFL, the cheerleaders. And we begin with the Detroit Lions Cheerleaders. Click here to see a large gallery of images from Week 4. 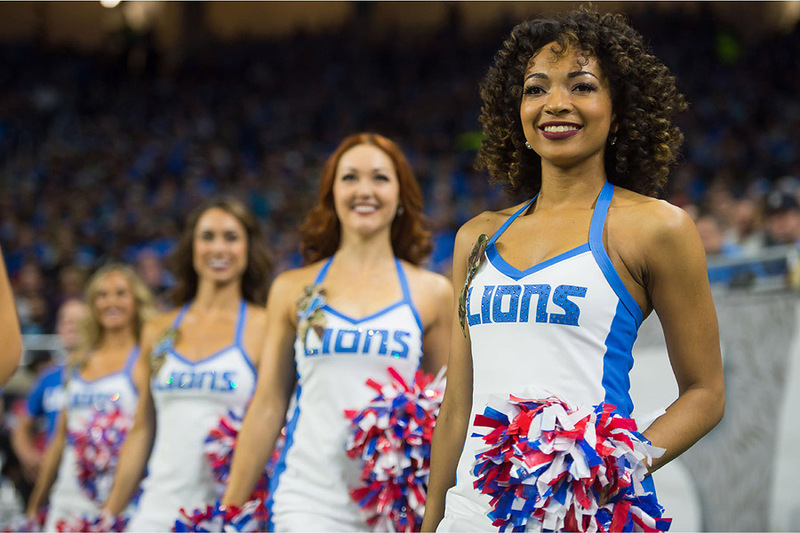 Week 2 of the NFL Preseason is upon us and we continue our NFL cheerleader coverage with the Detroit Lions Cheerleaders. 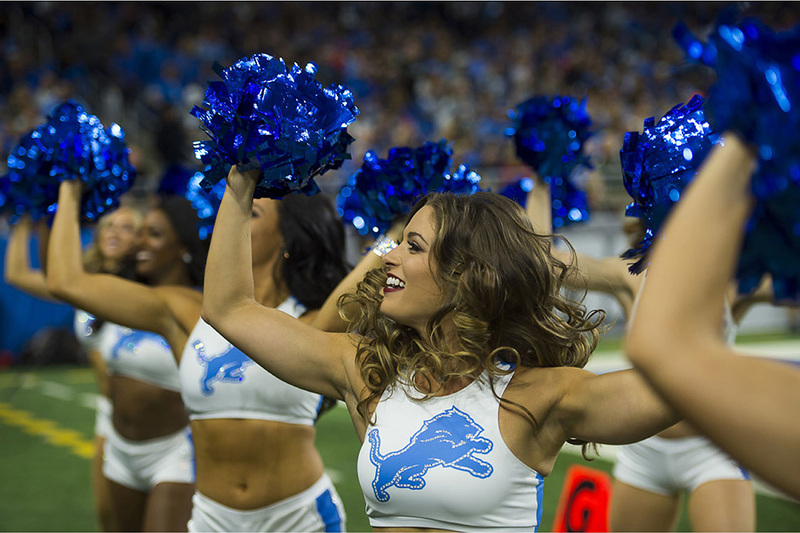 Click here to view the Lions Week 2 game day gallery. 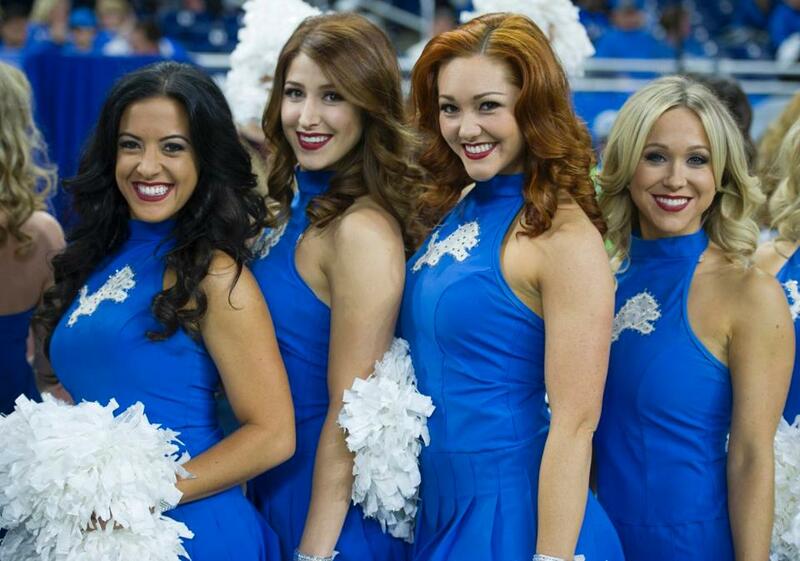 The Detroit Lions have posted a gallery of cheerleader images from Week 17. Click here to view the gallery. 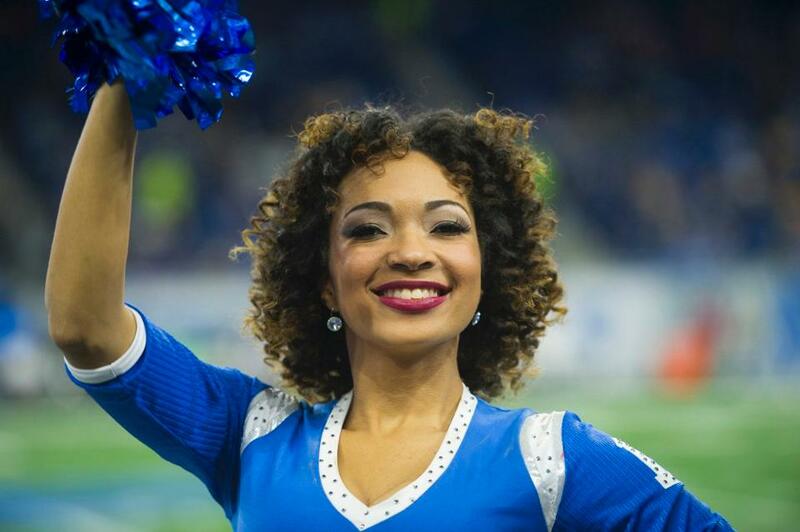 The Detroit Lions have posted a gallery of cheerleader images from Week 15. They wore some interesting silver alternative uniforms for the game. Click here to view the gallery. 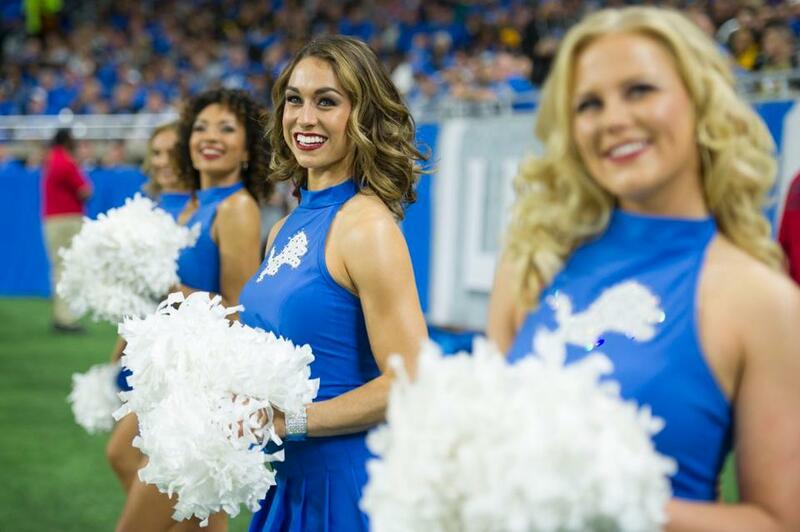 The Detroit Lions have posted a gallery of cheerleader images from Week 12. Click here to view the gallery. 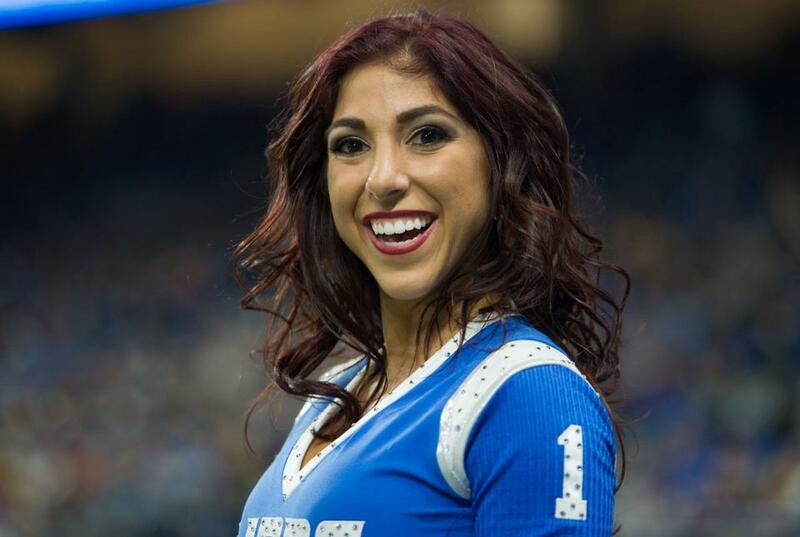 The Detroit Lions have posted a gallery of cheerleader images from Week 10. Click here to view the gallery. 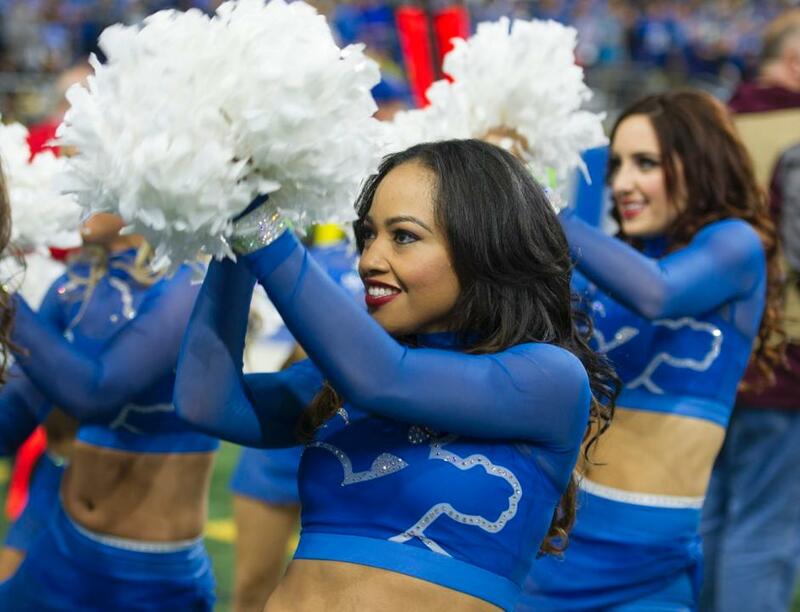 The Detroit Lions posted a gallery of cheerleader images from Week 8. Click here to view the gallery.